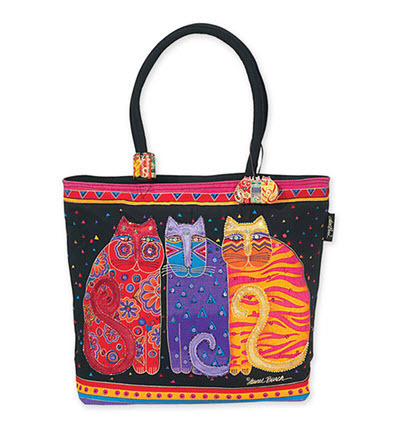 This is a very versatile fashion tote bag. 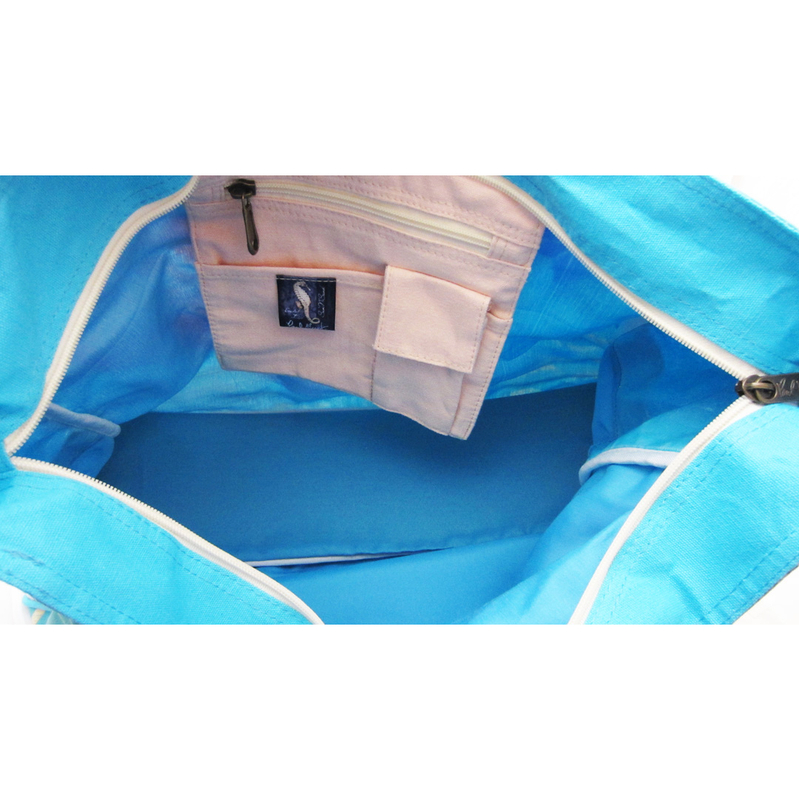 It can be used as a purse, beach bag, carry-on bag, diaper bag, shopping bag or an overnight bag. 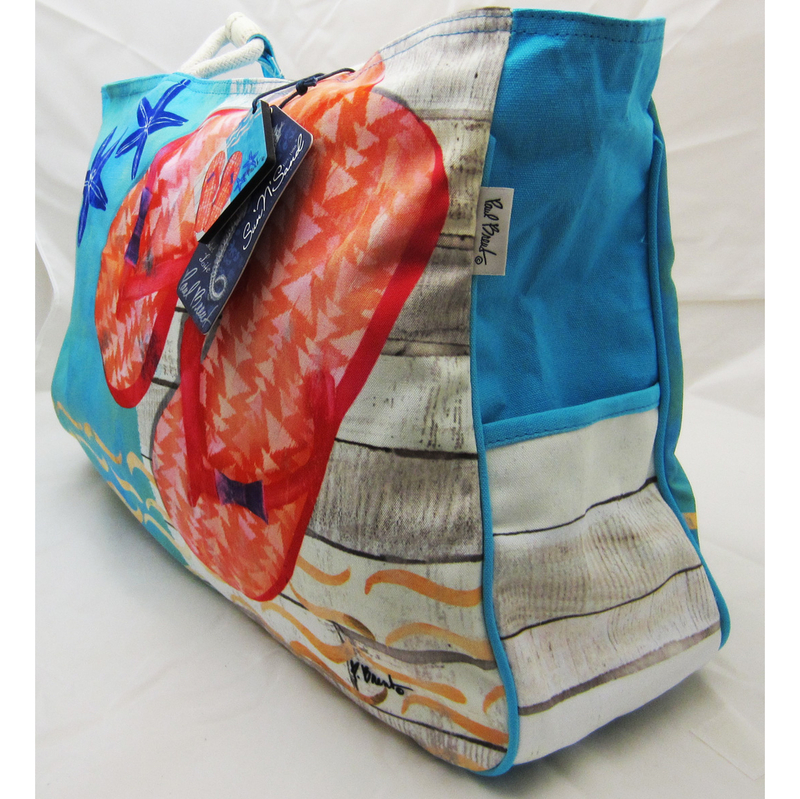 It is artist Laurel Burch's Moroccan Horses design printed on the bag. This fabulous multi-purpose tote bag also makes the perfect unexpected gift bags. Simply place your gift inside and attach a bow to the tote; the perfect 2 in 1 reusable gift! Hand-painted wood ornament adds to decorative detailing. Plastic coated interior (perfect to wipe clean). 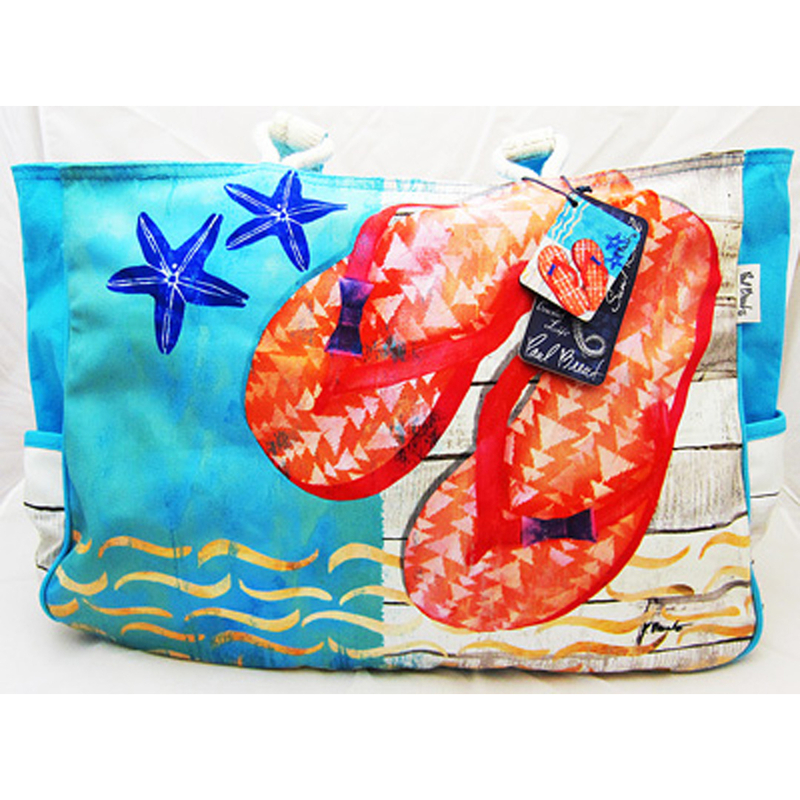 Many other designer fashion totes available in other styles and colors. 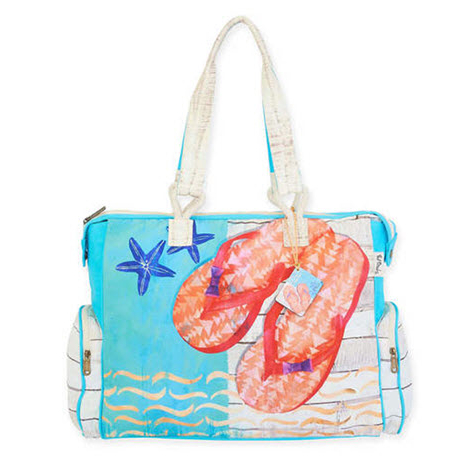 See all of our other Beach Bags in stock.